Pop Cycle is now crowdfunding to raise money to gear up for the summer. Funds raised will go towards food lab tests on our fair trade lollies, to help to get our lollies in cafes, as well as a mobile freezer. Check out our video and campaign on Indiegogo here. 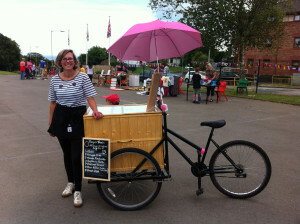 There are some fun rewards like creating your own lolly flavour or booking a lolly workshop. Any contribution however small will help and I am very grateful. The campaign runs until 1 May.